Monthly Virtue: Faith – believing in what you cannot see. Lesson Overview: In Motion we began a new series called Greater, and beginning next weekend will partner with our church as Pastor Steven begins his four-week Greater series, based on his new book, Greater. 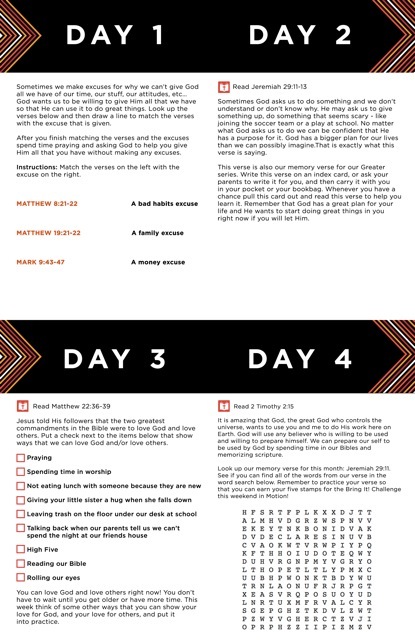 Many of the concepts we will cover this month in Motion will also be taught in the main worship experience, so parents you have a greater opportunity for family conversations! This weekend we learned we don’t have to wait until we are older or make lots of money to be used by God! God wants to use us right now. In Mark 6:30-44 we read about a young boy who gave Jesus what we had – a lunch with 2 fish and 5 loaves of bread. Jesus used what the boy had to perform a great miracle and feed over 5,000 people! If we give God all that we have right now, He will use it to do great things in our life. When we start with small steps of obedience God can use us in BIG ways! Get ready to head to the dojo! In our new series, Sensei Bob’s Karate Dojo: A Greater Way to Train!, we will learn about faith while learning some awesome karate moves! This weekend we joined Kimmy and Kora at Sensei Bob’s dojo as they took their first karate lesson. Sensei Bob told Kimmy and Kora to wait while he found an empty karate mat for them to warm up on, but Kimmy didn’t want to wait. She began practicing her karate chops, and accidentally got karate kicked in the head! Sensei Bob told us the Bible story about David waiting to be king. David had to wait a very long time before he became king – check out the story in 1 Samuel 16 – 2 Samuel 3. We learned “I Will Wait!” and Kimmy agreed to listen to Sensei Bob and wait next time. 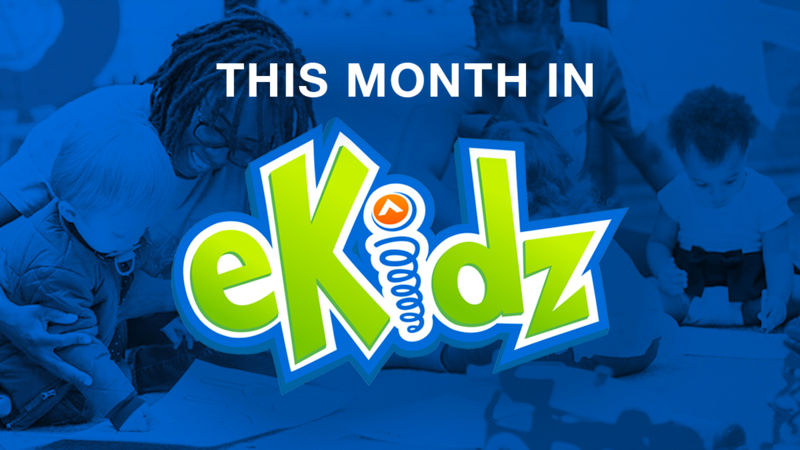 This month help your child learn our series memory verse, Galatians 5:22-23a. At home, use this fun Fruit of the Spirit song that we sing in Quest each weekend during our Sensei Bob series. Any child who can recite the verse on September 29 or 30 will receive an Elevation orange karate belt! 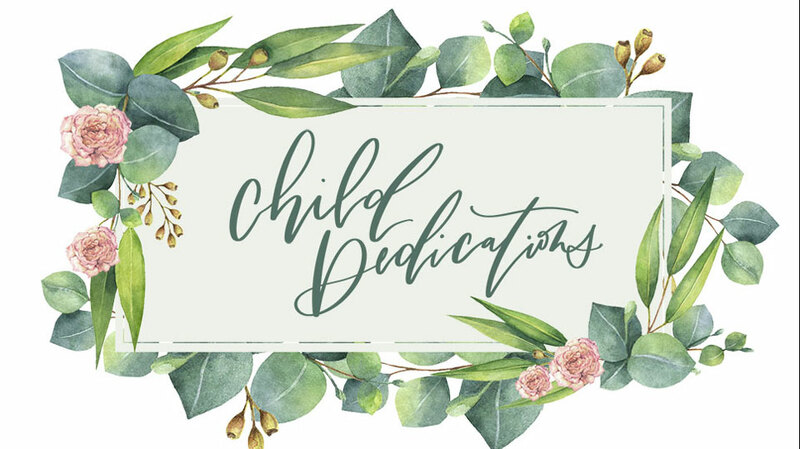 Monthly Focus: God wants me to care for others! This month is the release of Greater, Pastor Steven’s second book! 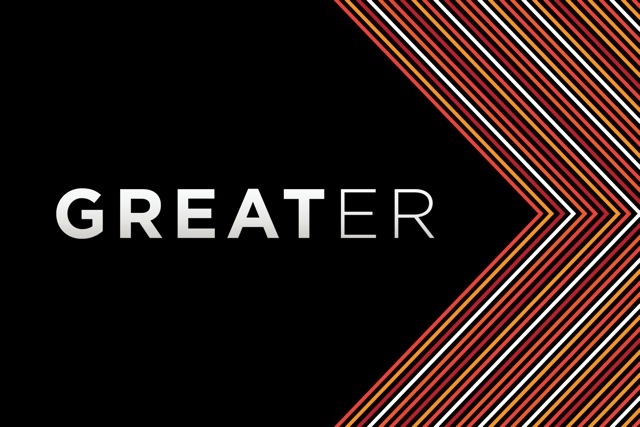 During the new adult sermon series beginning next week, also called Greater, we will come to the life-altering understanding that God is ready to accomplish greatness in our lives. Examining Elisha’s life, we will discover a greatness that is entirely out of human reach – but exactly what God has seen in us all along. God has a great plan for your toddler! This month, your toddler will learn that God wants me to care for others! through the Bible story of Elisha, Naaman, and the river. When Naaman was sick, the servant girl knew a way to help Naaman. Point to the servant girl.